Big news, Ess-a-Bagel devotees: our beloved purveyor of thick and fluffy bagels is making a return to it's old First Ave stomping grounds. Thrillist spotted a new "coming soon" banner outside 324 First Avenue (at 19th St) this morning. You'll remember the original First Avenue location (at East 21st St), shuttered this past March after 39 years. 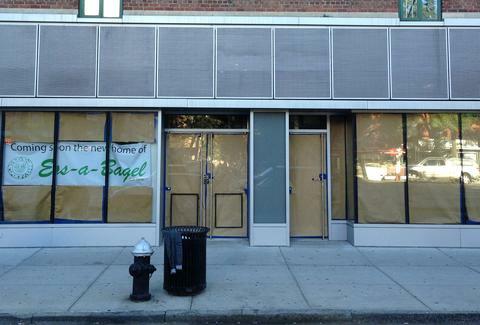 Following the news that it was closing, Ess-a-Bagel was quick to assure mourning fans that it would open a new spot nearby, perhaps even just "down the block" -- but the new location ended up being in the faraway land of Midtown East. Now, it's finally happening. Welcome back, old friend. We reached out to the Third Avenue location to inquire about an opening date for the new First Ave spot, but were quickly ushered off the phone after being told, "It's closed. We're located on Third Avenue. It's closed." Which means we should all definitely be coming up with conspiracy theories, the leading one being that Tupac is hiding out in the new First Ave location. Lucy Meilus is Thrillist's New York Editor and a leading expert in bagel conspiracies. Follow her on Twitter.